Forty eight months. One thousand four hundred and sixty one days. More than 35,000 hours. However you break it down, four years is a significant amount of time. 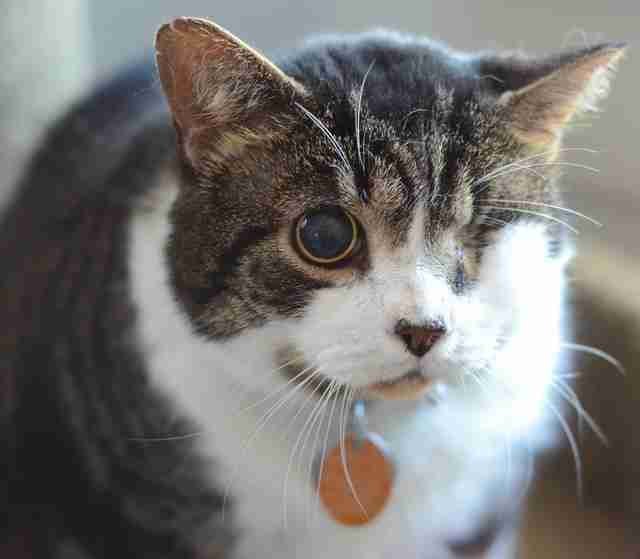 It's also how long one of North Shore Animal League America's most beloved shelter pets - One-Eyed Willy - waited to find his perfect match. In 2012, Willy, a young black and white cat was brought to Animal League America's Lewyt Medical Center in dire straits to say the least. 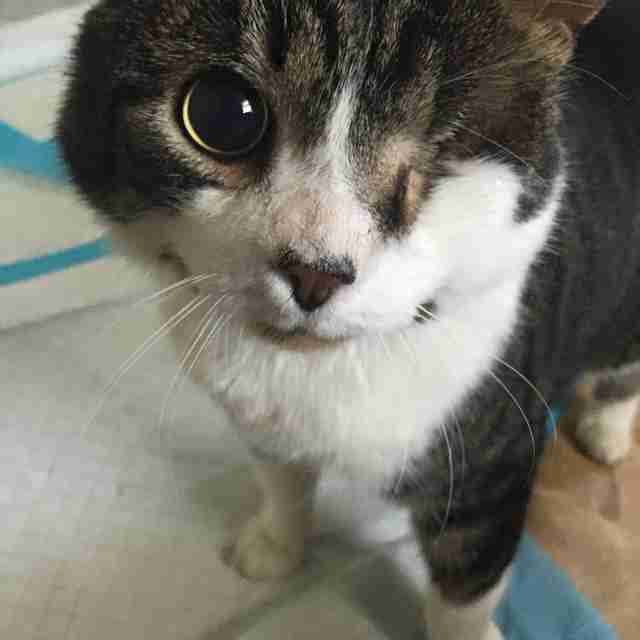 Suffering from multiple traumatic injuries as a result of being hit by a car, including several facial fractures, loss of one eye and permanent loss of vision in the other, and neurological defects, Willy was on the brink of death. He needed the type of urgent medical care that only the world's largest animal rescue and adoption organization and our top-notch veterinarians could provide. His injuries were so severe it was originally thought he would need months of physical rehabilitation and constant medical attention before he could even be considered an eligible candidate for the adoption floor. Unfortunately, Willy's recovery took longer than expected, and months quickly turned into years. 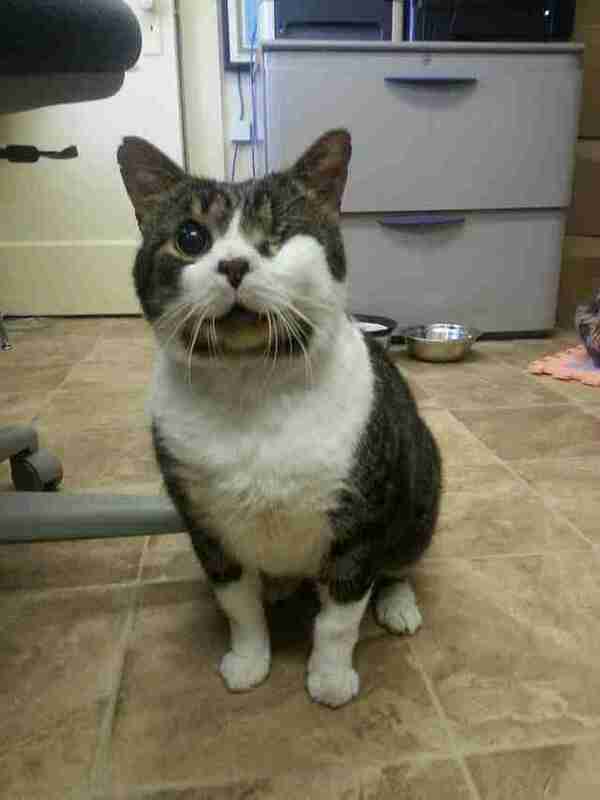 "I first met Willy when my office was moved above the pet store. It was close to two years after he came in and he was still recovering and learning how to cope with his disabilities. Clearly he wasn't ready for the adoption floor, so he would lounge around in an office with two other cats that needed some extra TLC," said National Community Outreach Manager Christina Lovari, who was working as the manager of Spay USA at the time. "He had a lot of mobility issues that eventually improved after extensive physical therapy, but he also needed to learn how to interact with people and other animals again. It took a lot of time and patience for him to get to the point he's at today, but once his personality started to come out and he started to adjust, it was so rewarding." As Willy steadily progressed into becoming a highly adoptable Animal League America shelter pet, his future adopter, Tom Zukowski, was continuing to build a strong connection with the organization that provided him and his family with several family pets throughout the years. A staunch supporter of our no-kill mission for many years, Tom first saw Willy when his wife, Lori, showed him a picture of the handsome feline on Animal League America's Facebook page. 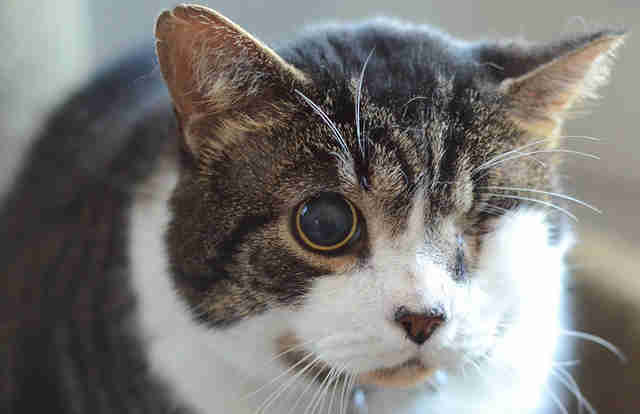 At the time, the couple recently lost their beloved cat, Max, who they adopted over two years ago when he was a senior cat suffering from multiple medical ailments, so they couldn't find it within themselves to make the commitment just yet. But when Lori saw Willy's picture again several months later while scrolling through her news feed, the couple wanted nothing more than to provide the long-time shelter resident a loving home. 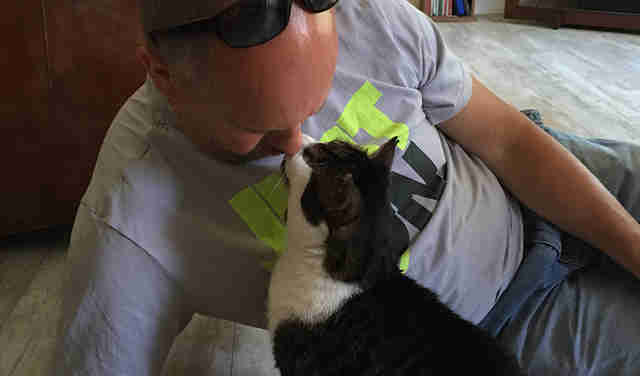 "My wife's always had an affinity for cats and when I saw how great it felt to give Max a home with everything he needed to live the rest of his life to the fullest, I was totally on board with doing the same for Willy," said Tom, an avid marathoner who has helped raise more than $13,000 to help animals. 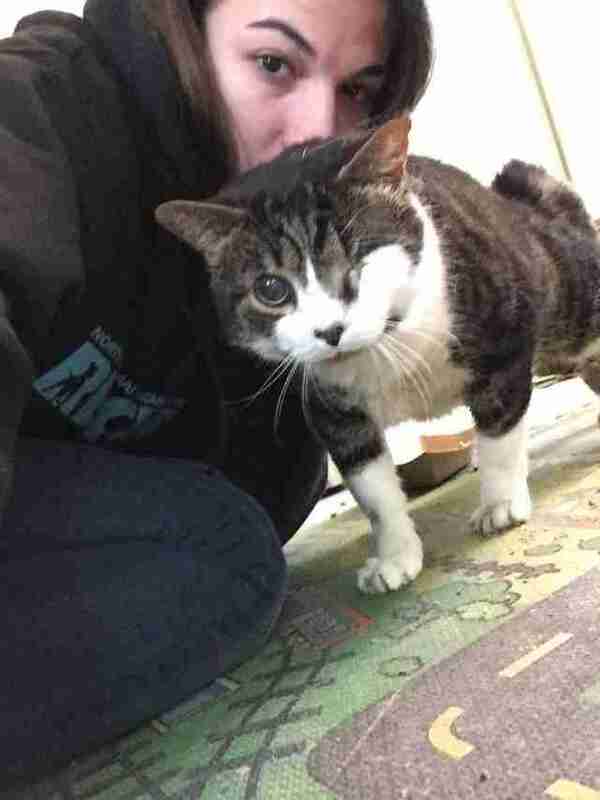 "He's such a loveable cat and it was really an emotional day when we took him home. Many of the people who work over there who have gotten to know him over the years were in tears saying goodbye to him. 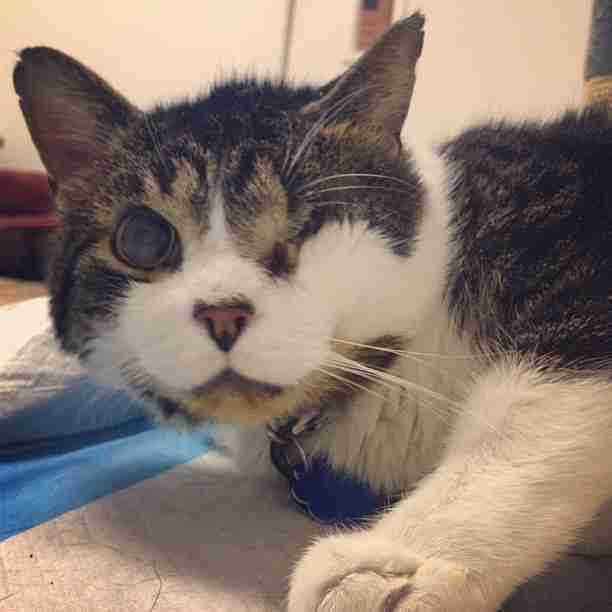 How could you not love an animal who's been through so much and persevered?"